The interface between dental restorations and the surrounding soft tissue is of critical importance for restorative success. An individual tooth is aesthetically inseparable from the adjacent gingiva. Successful aesthetic and restorative dentistry can be best accomplished when healthy and stable tissues surround the teeth. Close attention to both soft and hard tissues around teeth before, during and after restorative procedures will greatly increases the probability of a successful outcome. Gingival overgrowth is a condition that commonly develops after trauma or is associated with cervically fractured teeth. 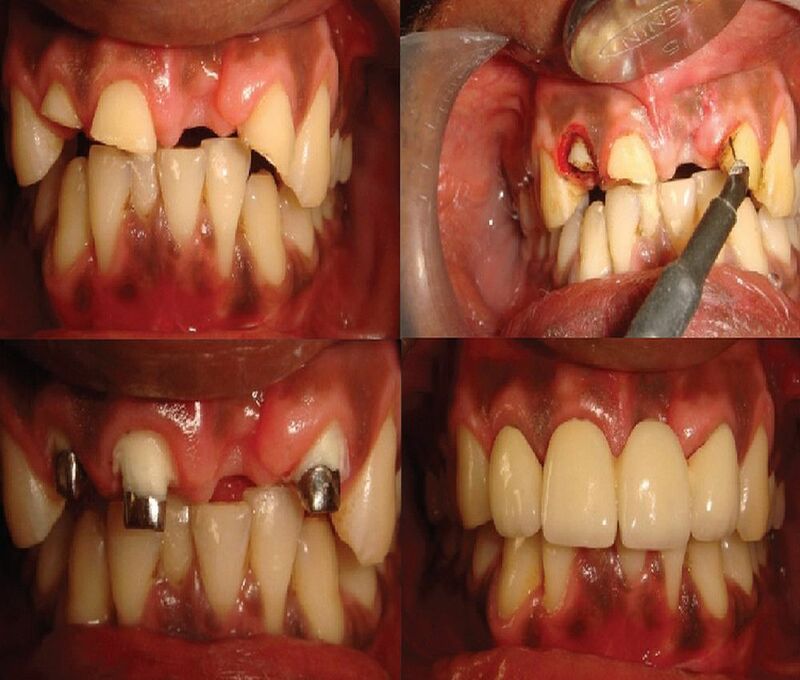 Gingiva can be surgically reshaped and recontored for cosmetic, physiological or functional purposes and is referred to as crown lengthening procedure. Crown lengthening is a periodontal resective procedure aimed at removing supporting periodontal structures to gain sound tooth structure above the alveolar crest level. Gingivoplasty corrects the remaining thick and un-naturally shaped gingival tissue left after the gingivectomy procedure and exposes the hidden teeth.